Bahama Blaster is a tower complex made up of four different slides. 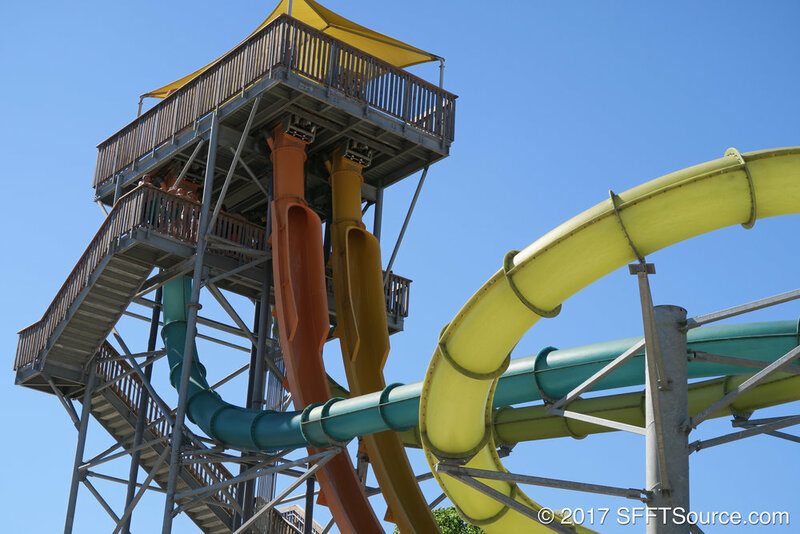 Located in White Water Bay, this body slide attraction is perhaps one of the most intense rides found in the water park. Guests climb into a pod to begin the ride. Before you know it, the floor has dropped out and you race to the bottom at speeds of up to 40 miles per hour.